Hello Everyone, Here is the way we cook Rice! you might like Fried Rice and know how to make it without the cooked rice you can’t make it happen. Let start by getting the Right Rice! 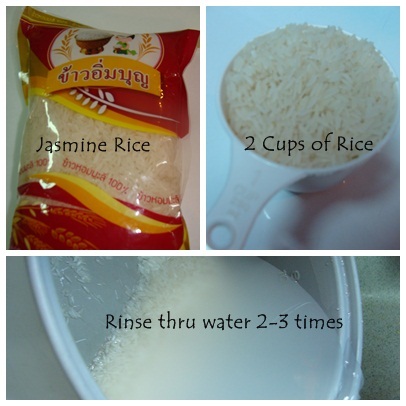 Thai we eat Jasmine rice and white rice(harder). After you got Jasmine or white rice. you need to rinse thru water 2-3 times. Clear out the starch. 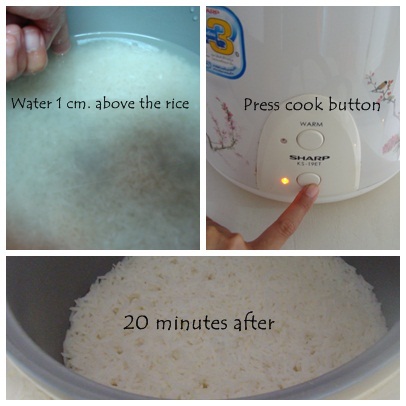 Then put water to rice upto 1 cm. above the rice level. Then, you can put it to the rice cooker and start. Please see the picture below.